OpenTravel’s flagship message-based schema product with a global implementation base that supports tens of thousands of messages daily across all travel segments. OpenTravel is releasing its Model Designer which offers built-in extension points and substitutable data objects that support lighter-weight XML messages for robust web services. Can't find what you're looking for or want to learn more about the site? Please send us your questions and comments on the Customer Support page. When you can’t find the resources you need in the Implementer Support section of this site, try searching the OpenTravel Forum. Check it frequently and help the implementer community by sharing your experiences and solution tips. 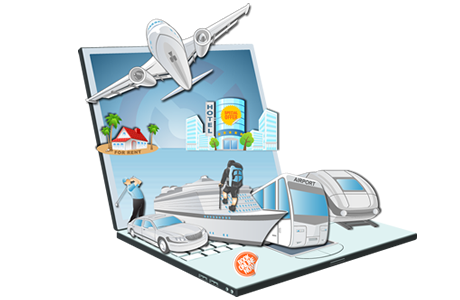 Take a look at business functionality the OpenTravel specification covers across all travel industry segments. Yes, globally!